In the first comprehensive effort to document incidence of the disease in Mexico, research led by Rafael Meza, assistant professor of epidemiology at the U-M School of Public Health, found that from 1960 to 2012 diabetes incidence in the country doubled every 10 years. The researchers predict that up to 23 percent of the country’s population could have the disease by 2050. 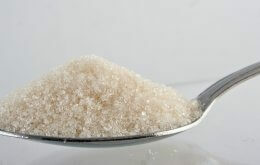 The study could also help those combating the diabetes in the U.S., he added. The research is reported in the current issue of Preventive Medicine. Using data from the Mexico National Health and Nutrition Survey, Meza and colleagues from the Mexico National Institute of Public Health projected how the disease will progress from 2015 to 2050. Diabetes is a leading cause of morbidity and mortality in the world, estimated by the International Diabetes Federation to affect 387 million people. As incidence continues to rise, it is expected to be the 7th-leading cause of death in the world by 2030. The researchers confirmed previous studies that showed newer generations are at higher risk, due to poor diet and lack of exercise. Mexico currently has one of the highest obesity and overweight rates in the world, estimated at 71 percent of the population. Gutierrez of the Mexico National Institute of Public Health and a former scientist at the U-M School of Public Health. Previous research on the health effects of sugary drinks by Meza and Barrientos-Gutierrez helped inform Mexico’s 2014 tax policy changes. They will study the success of the sugary drink tax on reducing obesity and diabetes rates, using as a baseline the models and data generated in this study.